Do you have an epidemic or even just a slight problem with mice around your home? You may find that they can get into a lot of small places. These pests can often be found in a garage and basement. 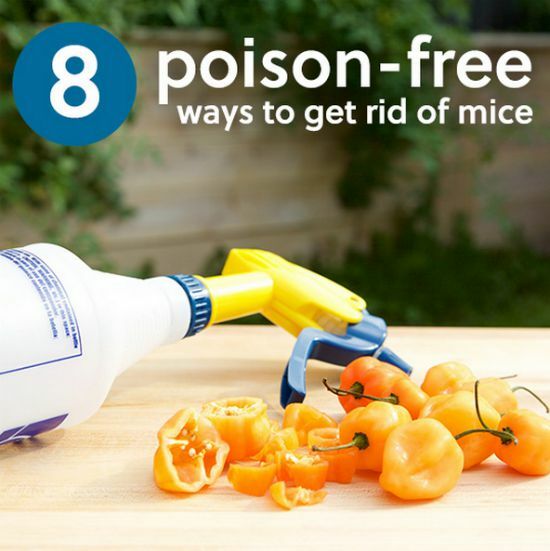 If you prefer a way to get rid of them that does not involve poison, then poison-free ways to get rid of mice are available. The best thing about poison-free ways to get rid of mice is no traps are used. This means that these will also be non-lethal as well as most of these methods are actually a deterrent. There are also various traps that can be used that are also non-lethal. Strong odors are one of the best poison-free ways to get rid of mice. Dryer sheets have a scent mice do not like and means you simply need to place a few where mice have been seen. You can also use spices in your kitchen.